Daringly breaking that traditional law, he translated Solomon’s alleged praise for the Queen of Sheba into Afaan Oromo by using Geez characters on a page of his work. This is the second early tangible evidence of the beginning of writing in Afaan Oromo. Afaan Oromo was a palace language during the reign of Iyoas who was monolingual in Afaan Oromo (Richard Greenfield, 1965). The employment of 3,000 soldiers as palace guards (Tesfaye Zergaw, 2001; Trimngham, John, 1965) helped to make Afaan Oromo virtually the official language of the palace (Martial De Slavic, 2008). The occupation of the position of Ras Bitwedid by the Yejjuu lords from the middle of 1770 onwards (Ibid.). Further exalted the use of Oromo language in the state system. On the other hand, many Oromos who were sold into slavery attempted to make Afaan Oromo popular under the opportunities got to be Christian preachers (Ibid.). Although the origin of Alaqa Zannab, Chronicler of emperor Tewodros, there were many freed Oromo slaves participated in the translation of the scripture before the popular Abba Gammachis (Onesmos Nasib), Zannab , Ruufoo, Waaree, Jagaa, Soolaan and Liban (Wolbert Smidt, 2002) are few among many. The translation of the Scriptures into Oromo language continued. On June 30, 1877, Menilek ordered Alaqa Zannab to translate the books of Jeshewa, Judge Ruth, and Samuel to use the translation for himself for revision after Hebrew. However, the works did not see light of the day due to the death of Krapf, who used to publish Alaqa Zannab’s works, in 1881 and the unstable political situation between the interior and the coast. Nevertheless, R. Pankhurst, who has written about these materials, does not explain why Menilek II preferred Afaan Oromo to Amharic for the revision of the Hebrew Bible (Pankhurst, 1976). But the reason is clearly stated by Hudeson “It is a curious fact that, although so many of the great Abyssinian officers are pure [Oromo], and although nearly every Abyssinian know[s] [Oromo] as well as Amharic, yet they do not care to speak [Oromo] in public. This can only be ascribed to a kind of false pride, as in private they will talk it readily” (Hudeson and Walker, 1922). To have indigenous religious scholars who could study Oromo language scientifically and translate the religious scripture into the language, the Catholic missionaries invested lots of their efforts on Afaan Oromo. Abbaa Massaja intensively continued to request the opening of (Oromo) College in France. It was great for Massaja to get land for the construction of (Oromo) College on 18 January 1866 in Marseille. On 15th April, 1866, St. Michael Oromo College was officially inaugurated by Massaja Marseille, France. By February 1869, the college was reported to have enrolled about twenty-nine Oromo students collected especially from ransom slaves (Abba Antonios Alberto, 1998). For the first three years, the Oromo College was functional to teach theology and linguistics with the focus on Oromo language under the direction of Fr. Emanuel and Louis de Gonzangue Lassere. However, it was unfortunate that the Oromo students of the College could not acclimatize well with the weather and many of them died (Ibid.). This forced Massaja to try to establish another College in the homeland of the students in order to fulfill the pastoral missions of the vicariate. Following his requests, the Capuchin of propaganda Fide allowed Massaja to build another (Oromo) College in the Oromo country in 1868. As soon as he received the letter of permission, Massaja left for Shawaa accompanied by his four Marseille Oromo students and instructors. After forty-eight days of tiresome journey, they reached Liche, the king’s court at the time on March 11, 1868 (Ibid.). Based on Menilek’s advice Massaja sent Fr. Tuarin, the vice-perfect of the mission to Finfinnee with some of the Oromo students on 11 September 1868. Immediately they began constructing Catholic Church of St. Marry at Birbirsaa with the assistance of some Oromo people (Ibid.). Birbirsaa (Oromo) College was officially inaugurated on 25 July 1869. The former instructor of the Marseille Oromo College, Fr. Emanuel and Fr. Louis de’ Gonzague were sent to teach at the college but Fr. Emanuel died on the way to Shawa. Louis de’ Gonzague became the director of (Oromo) college of Birbirsaa in 1873 (Ibid.). At this College, Fr. Tuarin prepared religious texts in Oromo language for church and academic services. Attempts were made to produce religious and academic literature both in Oromo language (Ibid.). 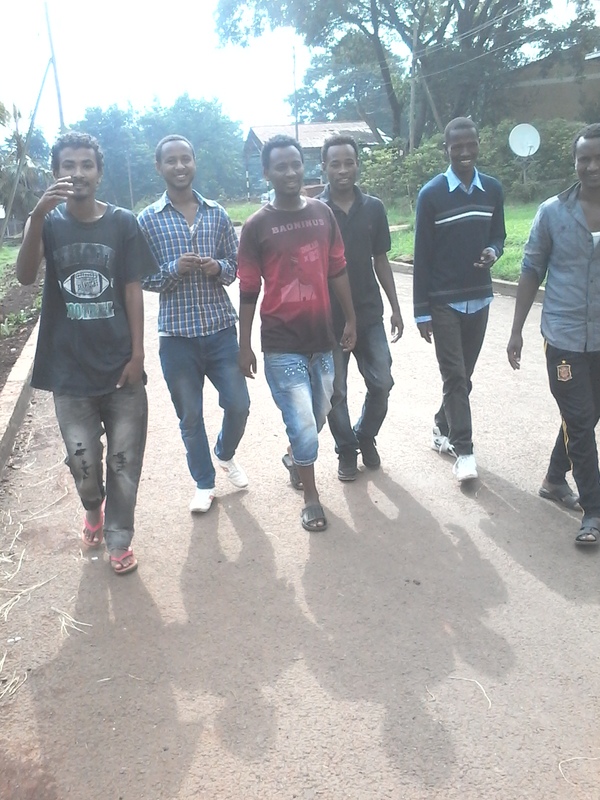 At the college, many recruits and some freed Oromo slaves, enrolled and became literate. The trained Oromo also participated in productions and translations of Oromo language literature as both writers and assistants to the foreigners. Nonetheless, the progress of Catholic Missionaries’ expansion and its roles in the development of written Oromo literature were impeded by Emperor Yohannes’s suspicious policy of king Menilek’s secrete contact with the Europeans. Yohannes feared that Menilek might have earned ample firearms through the contact. Consequently, Yohannes ordered Menilek to stop contacting Europeans independently and the two sealed this in one of the articles of the Liche Agreement signed in 1878. The agreement forced Menilek to expel Europeans including all the Catholic missionaries from Shawaa. (Elio Ficquet, 2003) After thirty years of evangelical activity and Oromo language study in Ethiopia, Massaja was expelled (Tewelde Beyene, 2003). The mission station and the (Oromo) College of Birbirsaa had to close down. In 1897, the St. George Church was built on the site of the college by the order of Menilek (Alberto, 1998). Despite these challenges and obstacles, the catholic missionaries had never given up their mission of evangelizing the Oromo and translating books into Oromo language. Mgr. Cahagne, who became Vicariate Apostolic of the Oromo following the resignation of Massaja on 3 October 1879, designed another way to enter the Oromo land. Mgr. Cahagne and his compatriots were able to pass through Zeila and established themselves at Harar in 1881. In Harar, they established two schools; one for freed slaves and the other for missionaries. In both schools Afaan Oromo and Arabic languages were intensively given. Fr. Andre Jarosseau was busy in studying Afaan Oromo and Arabic in Harar during 18821883, which could be a key for his future apostolate among the Oromo. (Kevin, O’Mahone, and Wolbert Smidt, 2003). Parallel with the establishment Oromo College and missionary station, the Catholic Missionaries embarked on collecting Oromo words, studying its grammar. They also translated their religious scriptures into Oromo language. In addition to the 1853 of catechism translation, Abbaa Jacob had translated the gospel of Matthew into Oromo language. He published the book which was 135 pages long at the printing house of Banasfus in Carcassonne in 1900. The main constituent of the translation is 28 chapters of Matthew, Morning and Evening Prayers, Revelation of Sin, and the Ten Commandments. Like his translation of 1853, the book has the problem of precise representation of Oromo sounds which is difficult only for the non-native learners but also for the natives themselves. His orthographical usage is based on the accent of French language. Otherwise, Jacobi had the concept of Oromo words that are long or stressed (Abba Antonios Alberto, 1998). The attempt of translating and composing Oromo language continued. In 1887, Ettore Viterbo an Italian scholar published Afaan Oromo grammar in Italian language under the title Grammatica Della Lingua Oromonica in Ermanno. The grammar consists of about 397 pages majority of which is devoted to the discussion in Italian language. The first hundred pages are devoted to Oromo grammar, from 103266 to Oromo-Italian and from 267-397 to ItalianOromo vocabularies where as the rest is left for Kaficho, Yem and the other Southern nations’ grammar. In the book Oromo words, phrases and sentences written in Latin script are cited as an example under each explanation of the grammar with it transcriptions into Italy. As he states in his grammar, his Oromo-Italian and Italian-Oromo bilingual vocabularies were aimed at easing twoway translations that was to benefit both the Oromo and Italian speakers. (Abune Jacobi, 1900) Nonetheless, as his approach of both the grammar and the vocabularies orthographic representation of Oromo sounds are the corruptions of Italian sounding system that it is difficult to pronounce Oromo words correctly for both the Oromo and nonnatives. Similarly, Franz Praetorius a German scholar, published Zur Grammaticka der Gallasparche in 1893 in Berlin. Praetorius’ 130 pages of Oromo grammar in Germany employed Geez script for the Oromo words, phrases and sentences cited in the book to show the practicality of the discussion. (Franz Praetorius, 1993) In this grammar, the focus he made on Oromo language is not worth as most part of the account is left for the German. CONCLUSIONS Although Oromo nation has been one of the largest ethno nations in Ethiopia, the attention given to study their language particularly from historical aspect is remains minimal. Policy of marginalization was also exercised for the purpose of building a country of one language, religion and culture. Promotion for the language was inspected and strictly forbidden. Therefore, the Oromo language in general and written Oromo literature in particular remained less studied. Until recently, Afaan Oromo lacked developed written literature and has insignificant written and printed materials. In spite of this pressures, some literate Ethiopians, foreigners, religious men and sold Oromo slaves to Europe tried to document some sketches of Afaan Oromo whenever they got any opportunity they came across. These efforts enabled us to take down the origin of written Oromo literature down to 17th century. HONEY PRODUCTION AND VALUE CHAIN IN GOMMA WOREDAS. At the outset I would like to praise of love and peace the Almighty God who always let the bulk of unfinished work to be completed at a moment. In addition to, I would like also to thank the Gomma District Office of Agriculture and Rural Development for the institutional support to get the data. I also wish to express my heartfelt thanks to the producers and workers of organization who responded to my numerous questions with patience. My special thanks and heartfelt gratitude extends to my sister Semira Kasim for her patience, support and encouragement. I am also grateful for my best friends Tofik Abdulhakim, Abduselam Nebso and Mustefa Abarego for their affection, unreserved encouragement, inspiration and support. I also thank all people who assisted me in one way or another during my study period. I never forget to acknowledge Mr. Aweke Fikadu who helped me in data management and for his unreserved advice. Wishing all Holy blessings from almighty Allah and be considered in His eternal Government. Commodity indicated a very short route. The main market participants for honey marketing of the District during the survey period were honey collectors, retailers and processors. Besides, a significant amount of honey produced is channeled directly to consumers from producers (43%). The honey marketing performance was also measured using marketing margins complemented with analysis of costs and gross profits generated by different marketing channel actors. Major problems of the production identified and prioritized by beekeepers in this area were drought, pests and diseases of honey bee, lack of beekeeping equipments, death of colony, marketing problems, and shortage of bee forage and lack of adequate beekeeping skill. Based on the study results, interventions demanded to raise marketable supply of honey produced are recommended. 1.1. Description of the organization. The Federal Democratic Republic of Ethiopia (FDRE) government has nine regional states and two special council administrations (Addis Ababa and Dire Dawa). Oromia regional state is one of the nine FDRE regional states which has zones and two special zones. Of these zones, Jimma is one of zones of Oromia regional state which has 17woredas; as well as Jimma as capital city of Jimma. Of these woredas Gomma is the one. Gomma is found southwest of Addis Ababa and Jimma at 390km and 45 km respectively. Mana town in the east. Gumay woreda in the west. Didessa river in the north. Seka chekorsa in the south. It was established by containing 39rural kebeles and the total area of 1,230.16hectares and with population size 213,023. Of these, males 108,637 and are females 104, 386. Similarly, 11,430 families are living in this area. According to the data gained from Gomma district agricultural and rural development bureau indicates, As far as concerned about the weather condition, 84% are woinadegas and 16% are Qola. Similarly, the average of daily temperature and annual rainfall of this area is 20 degree calicoes and 1420 milliliters respectively. Using these favorable condition that are discussed earlier, management of seedling is the main. Gomma Woreda agricultural and rural development is found in Agaro town. The organization has been working by undertaking modern and transitional bee hive to increase the community’s income via converting the existing honey production to income. Study is to assess the role of all departments in the organization in beekeeping value chain and honey production. To assess the performance of Gomma woreda agricultural and rural development office. To study the participation of organization members in value chain of bee hive and honey production activities. Each and every farmer of Gomma Woreda able to realize food security till 2016 according to Gregorian calendar. To enable the farmers increasing their income that is enough to lead their life and become rich by producing honey efficiently. 1.5. Mission Statement, value And Vision of the Organization. 1.5.1. Mission of the Organization. Responsible for developing and refining the overall the Woreda agricultural and rural development strategies and policies for Woreda. To create a modern and highly productive apiculture sector that uses advanced technology. To promote market oriented agricultural system. 1.5.2. Vision of the organization. Support a producer more beneficial from production of honey and achieve independent the Woreda people by food security in 2016. The sample frame of the study was the list of employers of organization. In first stage, selected departments in the office. In the second stage, selected 5 respondents of the organization workers randomly for an interview. The total sample size represents the entire workers of the organization. Honey is in fermented, sweet substance produced by honeybees from the nectar of blossoms or from secretion of living parts of a plant which they collect, transforms and combines with specific substances and store in a honey comb. Honey shall not have any objectionable flavor, aroma, or taint absorbed from foreign matter during it processing and storing and shall not contain natural plant toxin in any amount, which constitute a hazard to health. Honey is substance produced by honeybees and some other social insects from nectar or honey dew that they collect from living plants which they transform by evaporating water and by the action of enzymes them themselves secret. Honey is the most important primary product of beekeeping both quantitative and an economic point of view. It was also the first bee product used by humankind ancient times. The history of the use of honey is parallel to the history of man and in virtually every culture evidence can be found of its use as a food source and as a symbol employed in religious, magic and therapeutic ceremonies an appreciation and reverence it owes among other reasons to its unique position until very recently, as the only concentrated form of sugar available to man in most parts of the world. The assessment on average honey production on the farming household depicted the existence of large difference between total average volume of beeswax and honeycomb owned by individuals i.e. 17.24 and 6.23 volumes of honey production, respectively. The assessment further indicated higher ranges of total honey production among the respondents (range=68) which is big figure not yet reported in any honey producing kebela in woreda. The result has thus figured out the opportunity of Ethiopian honey producing farmers than any other African country. This is a continuous variable, it refers to the number of years the farmer engaged in beekeeping activity and is expected to influence supply of honey to the market positively. As farmers got more experience in beekeeping, the probability of increasing production and hence supply would be higher. Moreover, farmers with longer farm experience will have a cumulative knowledge of the entire farming environment. This in turn enables them to adopt the use of improved box beehives earlier than farmers with short beekeeping farm experience. the production chain is a trajectory that begins with the honeybee cultivation, that is, with the colony and the beekeeper. This is where the quantity of the product is determined. if the honeybee colonies are not tended well, very little can be done afterwards to improve the product. After harvesting, the products are usually extracted or dripped, but the beekeeper can also sell honeycomb product directly without extracted it. Honey that is crushed, dripped or centrifuged out of the comb can be marketed easier and can thus provide a better income. For this and other reason, such as the risk of crystallization, honey is marketed this way in most countries and preferably by the producer him- or herself. The added value of the extracted honey and beeswax processed in this way benefits the beekeeper. If he or she does not earn enough from these products production will be reduced. The beekeeper sells the honey either directly to the user (retail trade) or in large volumes to a trader (wholesaler) or a larger honey company. The letter refines the honey by heating, filtering and packing it into jars. In this way value chain is added again, although the honey is no longer raw and thus loses the properties of the fresh product. This type of processing is good if production is higher than local demand, because it increases the products shelf life, improves its presentation and makes export possible. If this is the case, it advantageous for the beekeeper or beekeepers association to supply the honey to such a company. Woreda production of honey during the 2012s was in excess of thousand litres (L) Per year. Beeswax production was more than litre per year. World demand for these products is substantially in excess of these amounts and is likely to increase even further. organization, 2012 data indicated that woreda trade in honey during the 2000s amounted to more than L per annum at an average price of about birr 65 per L. Woreda trade in beeswax amounted to about litre per annum with other place accounted for about one half of total imports with the market price average about birr 40 per litre. Much of this woreda honey production is gathered rather than framed, private sector modern production with many movable frame hives and inputs such as winter or out of season feeding and use of disease prevention measures is largely unknown in this district. The use of hives with removable top bars has been promoted intermit and often in a not very coordinated way in this woreda by government extension services. Almost all this district honey and beeswax is traditionally which is almost synonymous with inefficiently. The problem with all these traditional hives is that they engender low output; in district, for example, there were an estimated 60055 hives in 2012 which, based on organization, 2012 data for farmer production, is equivalent to 8.85kg honey and 0.95 kg wax per hive per year, although better beekeepers using long hives can achieve 15 kg per hive per year in more favorable areas. (Produce) to the final destination (consumer). During the practical attachment, the following honey marketing channels were identified. Profitability honey production has attracted most farmers due to higher farm income as compared to cereal production. production of honey and other product of honeybees allows for productive employment where the labor/land ratio is low as compared to other agriculture, since honey production is usually labor extensive. Increasing honey production contributes commercialization of the rural economy and creates many jobs. However, expanding the honey production is often hindered by lack of market access, market information, and many biological factors. The existence of large number of farmers (sellers) and limited number of merchants (buyers) particularly in the market, the bargaining position of farmers is usually weak. Besides the market structure, farmers and merchants may not have equal information from central transactions. The assessment indicated among all respondents, 80.5% of the farmers have reported as they don’t negotiate on price to sell their produce; indicating this large amount of producers are price takers. But 55.3 percent of the respondents stated the term of payment is conducted through cash in hand system. The selling strategy of the respondent farmers wasopen to any buyer. Thus, all producers sell their produce to anybody as far as they offer better price. Opportunities and threats are analyzed under categories of economic, social, technological, demographic and institutional themes. The main results of the SWOT analysis are listed under. The main limitation of this study was mainly related to coverage of this area. There are a number of known zone in honey production in the region. However, the study focused only in Gomma District due to budgetary and time limitations. The other limitation of the attachment was that, this study being the first in the District lack many detail investigations. Lack of institutional capacity: The organization lacks the required capacity-physical, human and logistics- to reach the neediest people in remote locations. The practical attachment was conduct with the objective of understanding the marketing system of apiculture production in Gomma district of Oromia region with specific focus on honey. Honey has been identified in the district as a major cash income generating commodity. Honey in the district is important market oriented commodity. Gomma district has high potential in honey production. There are about 10,567 honeys bee colonies in the district out of which 2740 are improved box beehives. The price of one honeybee colony is Birr 150 in the study area, pure and crude honey costs on average Birr 65.00 and 55.00 per kg respectively. (11males and 4 females) were selected randomly from a list of 988 beekeepers from 3 Pas in the district. Majority (80%) of the respondents had about 3-8 years of beekeeping experience and the average years of experience acquired for the entire sample was about 7 years. The district Office of Agriculture and Rural Development is the center of extension providing institution with three development agents assigned in each PA to support farmers. About 84 percent of respondents had access of extension contact with different frequencies. The remaining percentage (16%) of respondents reported no extension contact. Honey collectors, retailers and processors, respectively in 2012/13. This result verifies that education develops the willingness of the beekeeper household to allow new technology and information which in turn widens their readiness to produce more and thereby raises honey marketable supply. Accordingly, the district ARD and other apiculture development partners should give weight practical supported beekeeping training in which focused on pre and post harvest management of honey production and marketing. The positive significant effects of the variable propose that by improving productivity of the household, sale volume of the commodity can be expanded. This believed to happen duet o the introduction of improved box beehives. Therefore, increasing the distribution of improved box hives accompanied by safety protective materials for farmers of the district would bring additional marketable supply of the produce. The availability of timely and precise market information increases producers’ bargaining capacity to negotiate with buyers of their produce. In order to obtain this advantage there is a need to improve extension system which focused on market extension linkage farmers with markets is necessary to ensure a reliable market outlet for beekeepers of the study area. This should be further strengthening by marketing organizations such as cooperatives and other honey marketing institutions to involve in communicating the honey produces and the ultimate consumers so that farmers can sell their produce at reasonable prices. Beekeeping is culturally defined as a men’s occupation. This was also indicated by the result of descriptive analysis therefore, women should be encouraged to participate and receive training and intuitional support in the form of credit in improved beekeeping methods. Major problems of beekeeping identified and prioritized in the study area were feed shortage , pests and disease of honey bees, lack of beekeeping materials, death of colony, marketing problems and lack adequate beekeeping management skill. Therefore, providing the necessary exposure and skills, and institutional support in the form of credit, training, experience in improved beekeeping methods and marketing linkages need to be addressed simultaneously. All the problems faced by beekeepers cannot be addressed by a single organization, various actors: including research, extension, decision makers, input suppliers and credit agencies need to be collaborate in search of appropriate solutions and implement them. Agriculture Organization of the United Nations Rome1990 .http://www.fao.org/docrep//to104e00.htm. 1.1. Background of the organization……………………………………………………. 1.4. Mission and vision of the organization……………………………………………. 3.1. Onion production, marketing and its value chain ………………………………. 3.2. The common practice of onion production………………………………………. 3.3. Methods of onion production……………………………………………………. 4. SUMMARY, CONCLUSION AND RECOMMENDATION ……………………..
First and for the most, I would like to thanks the charity, kindness, help and for givens of almighty God. Secondly, I would like to express my deepest thanks and appreciation to my field supervisor Ato Fenta for his unreserved comments, guidance, correcting detail evaluation and helping materially even scarifying his time for writing, editing and who play a great role for the smartness of my paper. Most importantly I would like to express my grateful thanks and heart felt appreciation to all my family particularly (to my father Ato Tigabu Kasaw, to my grandmother W/o Zritu Nigus, to my sister Melkamhiwot Tigabu, to my aunt Meseret Nigus and to all the rest of my families) for their unlimited efforts in providing financial, material and moral support for my academic success in general and for accomplishment of this paper in particular. I have no words to express my thanks and respect to them. Last but not, least my gratitude also goes to all my friends specially (to Ali Ahmed for his writing and editing of my paper and for giving me his computer and to Aster Amman who make my life and my existence here in the campus so beautiful.) to all my classmate students particularly for all my doormats who contribute in the success of my academic and accomplishment of my paper ideally and materially. This practical attachment analyses the role of kobo girana valley development project in the alleviation of poverty in north wello, north western Ethiopia. It studies the impact of the project programs on livelihood, onion production, onion marketing, sales channel of onions, government intervention on production and marketing of onion and strength, weakness opportunity and threats of the project towards the production and productivity of vegetable production particularly in onion production.it specifically focus on onion production and marketing in kobo valley although the project works at different areas. This work also identifies the major constraints of onion production and marketing and gives policy intervention and recommendation towards tackling the identified problems. Ethiopian economy greatly depends on agriculture. More than 85% Ethiopia population are living on it. Agriculture contributes more than half of a country GDP. Ethiopia being predominantly rural in character, with agriculture the main economic activity, the conclusion is inevitable that is the search for significant increased rate of economic and social development. Special attention should have to be accelerated if employment, human and social development and rural industrialization are should be expanded and sustained. Similar to other regions of the country in amhara regional state, agriculture is the main stay of the region’s economy. The government of the region has invested substantially to this sector in order to increase agricultural production. Kobo-Girana vally is one of the potential areas envisaged for development. The valley is suited in amhara region north wello administrative zone comprising 5 different weredas with a geographic coordinate of 11º 30´ -12º N and 39º 22´-39º 48´ and a total area of 2849.5 km2 with 5 different basin. KGVD program is an area under the north wello administration consisting of kobo, gubalafto, habru and gidan weredas. It is one of the rural development projects established by ANRS in 1999 to implement a rural development based on the maintenance and utilization of the natural resource of the valley. The program office is located in the lower flat plain of kobo wereda in kobo town about 575 km from addis ababa along the dessie-mekele highway. The program area is located in the lower flat plain of kobo-girana valley. The valley extends from 11º 30´ -12º N latitude and 39 º 22´-39 º 48´ east longitudes. The total area of the valley is estimated to be 2849.5 km2. The program area is bounded by tigray region from north, south wello from south and afar region from the east. The program area is characterized by pronounced variation in scenery. The landscape can be addressed to have two main features namely, eastern and western terrain and the low lying flat plain squashed in between the two mountainous terrain. The kobo-girana valley has diverse agro-ecological zones. The valley is found in the dry and moist agro-ecological zone. The basic characteristics of this agro- ecological zone are relatively high population density, intensively cultivated land with a variety of crops. With better understanding of climatic reliability everybody will be able to do better job of weather sensitive activities. The need of climatic forecast, specifically for development activities, such as, agriculture for planning of short, medium and long-term economic benefits like designing of water supply and irrigation dams require better climatic information. The spatial distribution of rainfall in the valley varies greatly. The annual total rainfall range for kobo, weldiya and sirinka lies between 472-913mm, 544-1386mm and 455-1169mm respectively with mean annual rainfalls of 723mm ,1022mm and 918 in that order. The total population of the valley is 479,140 where 407,474 are rural and most making living on subsistence agriculture. Since the population growth rate of the area is estimated to be 3% annually, the pressure on cultivable lands is rapidly increasing and as a result cultivation is practiced along steeper slopes of mountains under vagarious condition. Most of the people living in this valley earn their living from mixed farming. The farmers are dependent on rain fed agriculture but, recently modern irrigation using surface and ground water potential has been started. ; vertiosol ( black heavy clay soils) and fluvisols (medium textured soils with characterstic stratification). The clay soils usually occur in flat plains, whereas the loamy soils occur both in flat plains and steep mountain foot slopes. In general, soils of the entire valley could be regarded as productive with the exception of those of wetlands and steep foot slopes. North wello in general and the program area in particular is endowed with abundant water resources, both surface (river) and ground water. It consists of a large number of perennial rivers used for irrigation and other purposes. The kobo girana valley is in to two hydrological and five sub-basins based on their distinctive surface drainage characteristics. The major basins are danakil and awash, while the sub-basins are kobo, alaweha,sirinka, cheriti, hara and gelana. The kobo and alaweha sub-basins are the largest by and have high surface and ground water potential. According to the hydrology study, ground water occurrence in the valley is related to the existing aquifers formed by basin fill segments and fractured basalts. A considerable amount of recharge to ground water is obtained both from direct precipitation and as run off from the potential and intermittent rivers originating in the western Ethiopian plateau. Other recharge sources include sub-surface flow from highlands and traditional irrigation. The same source revealed that most productive aquifers occur at relatively shallow depths between 20-60m in waja-golesha and in the hormat-golina plains in the kobo sub-basins. The natural resource base such as land, water, forest and trees are the foundation of any economic development, food security and other basic necessities of the people. The natural resource base of Kobo-Girana valley is coming under increasing population pressure and inappropriate farming and management practices. Small-scale farmers, who depend on these resources, face serious threats from intensive cultivation, overgrazing and deforestation. Land use in the program area is dominated by long period traditional rain fed peasant farming system of individual holdings and grazing of livestock on communal grazing lands and foot slopes, i.e. mixed farming is dominating for a number of centuries. The valley plain area represents a high agriculturally potential area, with a high human and livestock population density, annual crop zone with examples of extensive areas having moisture deficit. Cultivated land is the dynamic land use types under rapid transformation with increasing human population. Livelihood strategies in the program area are usually vulnerable to various shocks, low yielding and barley subsist the ever increasing population. Low income, food insecurity, and incidence of poverty are peculiar characteristics of the livelihood systems reinforced by excessive environmental degradation due to over cultivation, population densities, deforestation and soil erosion. The main tasks of the KGVDP include working to solve the rural development programs and poverty reduction, implementation of millennium development and transformation plan, gives extension service to farmers, supply of improved agricultural technologies for farmers and popularization of these improved technologies for different rural areas. The organization also distributes fertilizer and pesticides and gives training for the farmers how to use the distributed fertilizers and pesticides to be more productive. The organization also receives agricultural inputs and extends to rural farmers within the right time to increase production and productivity of agricultural products. They fulfill modern technology and farming system for farmers of rural areas and gives training for rural farmers to bring behavioral, social and attitudinal changes towards modern farming system and natural resource management. They also create relationship with different organization and participate on different organizations and meeting to exchange different experience. Enhance the dissemination and adoption of improved technology. To adapt and develop appropriate agricultural technologies that enhances productivity and quality of crops, livestock, fisheries and forestry to contribute to food security and economic development. The organization works with a mission of conducting a research that would provide market competitive agricultural technologies that contribute to increased agricultural productivity and nutrition quality, sustainable food security, economic development and conservation of the integrity of natural resource and the environment, and to provide a strong leadership in coordinating farmers and different stakeholders by taking a leading role in influencing agricultural policy development. Using resource of the valley by implementing irrigation based agriculture and rain fed agriculture with the conservation of natural resource and supports the project farmer in order to meet their food self-sufficiency and eradicate poverty in the area. During my summer stay in KGVDP for the practical attachment I observed some attempts made by the organizations concerned bodies to meet their missions. Some of these activities were; the organization work focus on research but, they also undertake support process such as provision of extension support to farmers, they try to introduce new technologies to different rural areas by cooperating with agricultural offices at woreda and zonal level and provide agricultural inputs such as improved seed, fertilizers, pesticides. Practical attachment has been designed to provide the learners with adequate knowledge, skill, and attitude and to implement the concept of the theoretical class practically. In educational and training policy of Ethiopia, one of the major components of capacity building program is training of agricultural professionals that can bring agricultural transformation and development in many aspects. Practical attachment is basic agricultural guidelines which helps senior graduating students to see real world visually and touch or practice physically what they learnt in class room during their stay at higher institutes and universities. To learn the way of interacting and asking questions on practical aspects of the overall agricultural activities. Raya kobo is one of the 126 rural districts in the region and one of the twelve in the zone, north wello. It has an area of 197,405 hectares comprises of 36 rural Kebeles and 6 towns. A total population of 567,140 of which 93% households engaging in agriculture are living in the district. The capital is called kobo and is located in dessie-mekele high way. The practical attachment was carried out in Kobo irrigation sites for two consecutive months of July and August for onion . Kobo research station is situated at 12.08º N latitude and 39.28ºE longitudes at an altitude of 1470 masl. The 15 years mean annual rainfall is about 630 mm and average daily reference evapotranspiration rate of 5.94 mm. The soil type in the experimental site is silly clay loam which has average infiltration rate of 8 mm/hr, pH value of 7.8. The methodology that I have been using in doing my practical attachment work was aimed at defining and describing the concept, role and objectives of the practical attachment and my field of study to the managers of the organization. Getting the will of the organization, I identify methods to overcome constraints and make the use of the existing potential. I discovered, appreciated and prioritized the existing potential and constraints of the organization. Primarily, I focused on the collection of secondary data. I tried to review different literatures and preparation of different detailed practical survey and plan for what is going to be done was prepared. Secondly, I concentrated in the way to obtain primary data regarding the situation. To obtain primary data, interviews with farmers, government officials at wereda and zonal level. Having done the above, the final result shows that land holding size, input use, average output yield, and production system etc of the project area together with the identified production constraint by the household. actually there are some limitations in the accuracy of the data as respondents are not in the habit of any recording and the data and the data has been collected from their memory. Onion is one of the bulb crops belonging to the family Alliaceae. It is considerably important in the daily Ethiopian diet. All the plant parts are edible, but the bulbs and the lower stems sections are the most popular as seasonings or as vegetables in stews. Onion prefers well-drained sandy loam with a high content of organic matter. The optimum altitude range for Onion production is between 700 and 2200 m.a.s.l. and the optimum growing temperature lies between 15o C and 23o C. its primary origin lies in central Asia. Best soil for onion production is deep friable and loam soil with an optimum pH range of 5.8 to 6.5. Onion is vegetable crop grown worldwide. Onion is considered as one of the most important vegetable crops produced on large scale in Ethiopia. It also occupies an economically important place among vegetables in the country. The area under onion is increasing from time to time mainly due to its high profitability per unit area and ease of production, and the increases in small scale irrigation areas. The crop is produced both under rain fed in the meher season and under irrigation in the off season. In many areas of the country, the off season crop (under irrigation) constitutes much of the area under onion production. Despite areas increase, the productivity of onion is much lower than other African countries. The low productivity could be attributed to the limited availability of quality seeds and associated production technologies used, among the others. For the supply of such seeds, the informal sector is playing significant role in outreaching large number of farmers. Most of the demand for onion seed is either meets by private sectors or unorganized program and imported Seeds. The formal sector, Ethiopian Seed Enterprise (ESE) is not generally supplying onion seed. Limited amount is catered by public sector organizations like Ethiopian Institute of Agricultural Research (EIAR) as popularization activities. The quality of seed supplied by the informal sector in most cases is not good enough. Most of the times there have been problems related to germination capacity of the seeds and true to type ness. The problem is further exacerbated by the short shelf life of onion seed (one year under favorable condition). Owing to these, producers are using 6- 8 kg of seeds per hectares opposed to the recommended rates of 3.5-4 kg/ha in order to guarantee good seedling emergence. This incurs more cost to farmers besides the ever increasing price of onion seed on the local markets. All these are hampering the advancement of onion production. Therefore, it becomes necessary to increase the supply of quality seed through participation of private sectors and farmers in onion seed production. Onion farmers in the study area do not keep the recommended spacing. They do not have any measurement to keep the spacing between plants and rows. Because of this there is no specific distance between both rows and plants. The distance between rows and plants is varying. Both sexes perform this task with amazing proficiency, the men are able to work long hours in making rows and watering the rows. Men and women are putting the thin stems of the seedlings of onion into the wet soil. In comparison with other local crops, such as maize, the tillage and planting requirements for onions are much more labour intensive. After the transplanting has been completed, the farmers must monitor field conditions cautiously. Timely irrigation of the early crop is essential. Two weeks after planting, the farmers begin the first important weeding operation. The hoe is also used to remove any emerging weeds. Some farmers will apply the first urea fertilizer during this period. Both male and female laborers do this task. The second weeding operation is done after 4 to 5 weeks of transplanting. Once this final mechanical operation has been completed, the farmers’ primary concerns are timely irrigation to maintain adequate soil moisture and conducting a careful assessment of the onion field to control insect pests and diseases. As onion bulbs increase in size, the onion leaves begin to collapse. This occurs 80 to 120 days after planting, depending on the variety. During the harvesting time labor is divided by gender. Men dig out the onion bulbs with a pick and make piles of the plants. The women and children cut the foliage from the onion and package the bulbs in large sacks. This operation is one of the very labor-intensive activities of onion production. There are two methods of onion seed production. Seed to seed and bulb toseed method; both can be used in seed production. But the bulb to seed is the most commonly used method in Ethiopia. This method has a number of merits; options of selection of bulbs of good size, uniform, typical color, free from diseases and physical damages. It produces several stalks per bulbs hence gives higher seed yield. This is in conformity with experiences where seed yields up to 20 qt/ha was obtained on farmer’s field for the variety Bombay red. The method is also good to maintain the variety identity. However, in this method it takes 10-11 1/2months to produce seed (4 – 4 1/2 months for bulb production and 6-7 months for seed set and maturity). The seed to seed method lacks the above mentioned merits. It also produces less flower stalk per bulb. But it takes 7-8 months to produce seed. To improve productivity, the project • partners introduced improved varieties, better agronomic practices (double row, staggered planting) and improved water utilization e.g. (from flood to furrow). Existing irrigation/water resources can be divided into resources that can be exploited through gravity force and various water lifting devices. Interventions for both types of irrigation/water resources were aimed at expanding the areas of irrigated crops as well as improving productivity or yield. Untreated onion bulbs have fresh, open wounds at the neck where the green foliage was cut from the bulb. Such wounds, combined with poor handling techniques cause the onions to decay quickly once they have been bagged for transport. Some onions will sprout green foliage after only several days. Others will become infected by various decay-causing organisms, which quickly rot the inside of the onion and make it unfit for sale. Farmers have a short period of time to get their crop to market. They are, therefore, more susceptible to fluctuations in the market price, as they do not have the comfort of waiting time until the price has reached a satisfactory level. Onion will pass through different hands many times from the moment it leaves the farm until it arrives to the consumers. In the study area, there are three primary ways in which an onion crop is transported to the town. The first and most frequent one is a bagged onion is loaded on camel back; the second one is women loaded on their back and men loaded on their Shoulder. The third one is a lorry known as Isuzu can load some products directly from the individual farms. Often times the Isuzu loading is in contact with the middle men through telephone. The middlemen visit different farms and try to buy recently harvested onions. Since the farmers have a limited time to store the onion bulbs they are subjected to sell their products with minimum price for the middlemen. Sometimes a group farmer rent a lorry and transports their onion bulb to the nearest town market to avoid the market sabotage of middlemen. Onion farmers in the study area have different market outlets from kobo town: those are weldia, alamata, dessie and mekele markets. The major problems of onion marketing are unsatisfactory pricing where the wholesalers were mostly benefited and controlled the market, lack of functional organization among producers, the existing six irrigation cooperatives establishing with the aim of administering vegetable marketing do not have skill how vegetable marketing handled and how to increase their bargaining power; inadequate market information for producers was also another market problem mentioned in the study area. Every market information especially output price information first reaches to middle men. Because of this the poor farmers were always remaining the hands of these middlemen in selling their products. To explore market potentials, the project conducted value chain assessments with staff of the KGVDP, students and regional research institutes. The results of the studies were used to develop market interventions. Several studies indicate that farmers usually have very few buyers for their produce and therefore are mostly price takers. The project organized platform meetings with traders and producers, in which farmers were able to see and make contacts with more potential buyers. To increase market transparency the project also assisted by providing market information (through billboards or radio). It also linked producers to new/additional markets in particular for gubalafto and Alamata producers. Farmers in kobo use mobile phones for better price discovery. To further strengthen the bargaining power of farmers, project partners assisted in collective marketing action by aggregating produce in a central place. In kobo this was organized by the cooperative. Attempts to involve the kobo cooperative in the actual purchase and sale of vegetables were not successful. However, traders gradually offered a higher price to compete with better prices offered by the local onion producers cooperative. Many farmers sell onions straight from the field, preferably to the rural collectors (who purchase the product for loading from farm to storage house) and/or representatives of storage companies who save the onions for winter. These two categories of buyers pay a price above average wholesale market price, but their requirements are also higher. They pay premium over the wholesale price if a large lot can be offered by one or several farmers.They also tend to come to the fields themselves and not use the services of middlemen.The farmers prefer to sell the onions in large lots as this maximizes their earningsand saves the time they would spend in the market if retailing their product. Many farmers also try to hold the onions for later sales dictated by cash flow needs. The study shows the need for interventions to improve the seasonal mismatch in demand and supply and facilitate linkages between producers and potential buyers in the nearby towns. Despite high demand for vegetables in major towns within a 50 km radius accessible on all-weather roads, the majority of small farmers sell their product on-farm largely through brokers who are not accountable for their practices. Only 14% of producers move their products to potential buyers in market in the district town. The number and type of market problems faced by farmers indicate the weak support to marketing compared to support they get for production. Moreover, skills in adding value through sorting, grading, packing, transporting and improved storage were little developed. Prices farmers received during the production year fluctuated widely both across seasons and sellers farmers. Onion price doubles or declines by half between high and low supply seasons. More strikingly, onion prices decline by four times during peak production. Price differences across seasons are explained mainly by demand and supply. Price differences are also observed within same season. Difference in access to market information or capacity to use it and farmers’ technical skill to extend storage that can prolong the time of sale, and add value through grading and standardization, explain part of the difference in prices farmers received within the same season. The combined interventions by project partners had a major impact on the expansion of irrigated vegetables in the districts. Such expansion can be seen at the individual household as well as district levels. The two most significant input supply interventions which contributed to the expansion of irrigated vegetable production are the supply of irrigation equipment and the production of improved onion seeds. The project’s own intervention in the supply of irrigation equipment was limited, since major efforts were onion seed production. Since bulb for seed production was not available year round in kobo, seed producers organized themselves to purchase bulbs from elsewhere in Ethiopia. Once the seed was produced, the project and partners facilitated linkages with buyers in and outside the districts. The regional authorities facilitated this process through testing and certifying the seeds. Increasing participation of women in the vegetable value chain was encouraged through targeting women for knowledge and skills development in kobo District. A women’s field day was held to scale out this women focused approach/intervention. In kobo, alaweha and waja, some women started raising vegetable/pepper seedlings in small nurseries near their homes, to sell to their neighbors. Attempts to involve women in small scale grading and marketing of onion in kobo were not successful due to lack of sufficient demand. The lowland of kobo valley is relatively endowed with fertile alluvial soils. With improvements in traditional agronomic practices, expansion of modern small scale irrigation, the area can be a surplus producer and food self-sufficient within few years. Expansion of vegetable production is important potential investment opportunities for the private operators particularly in processing and packaging, distribution, warehousing, and transportation of these perishable commodities. Small scale pressurized irrigation is the most crucial potential area for boosting up agricultural production and improving the rural livelihoods in the project area. The flat topography of the majority of the project area, the availability of surplus ground water resource, rich experiences in intensive traditional irrigated agriculture and recurrent drought and fluctuation of rainfall on the other makes small scale modern irrigation the most important and hopeful agricultural technology in the kobo valley. The organization made significant efforts to develop its human resource and have registered significant achievements through formal and informal training programs. Projects will emerge from strategies of the organization and emerging issues. Importation of new technologies receives the highest priority in the research system. Availing appropriate technologies for model farmers. Any project is geared towards the objectives of the organization. Accountability and empowerment are signs of responsibility. Projects are approved based on the gaps of the process. Provision of skilled man power. Gives support to different farmers. Shortage of tangible information at time of need. Employers are not punctual day to day. Sometimes the workers face load on their work and they become confused regarding the work they did before and they will do. Lack of fair allocation of resources for all departments. It has great opportunity to escape towards better investment. It has a chance to amalgamate with education sector. Mass media create awareness about modern agricultural technologies. Promotion of other cooperatives that gives different services to the farmers. The existence of high learning institutes and collages that trains agriculture to supply trained manpower hired in the organization. Availability of daily laborers in low price. High rate of population growth has a great effect on food security. Most of the farmers are illiterate which cause low productivity. Inflation and deflation of market price. Lack of infrastructures such as road, clean water, electricity. Spread of HIV/AIDS will decrease productive manpower. Onion production in kobo-Girana valley has increased significantly for the past 5 years. It has momentous contribution in annual households’ income. Farmers grow onion crop for the purpose of selling to get cash. However, onion production is seriously affected by price fluctuation every year. the main differences in adoption level of onion growers was also related to access to credit, frequency of visiting nearby town and perception towards the new practices of improved onion production package. Because of this those households who did not access to credit, who have no chance to visit other society and who have negative perception on the practices of onion production package did not adopt or adopt some part of the package practices. Onion production suffered from various constraints like low and erratic rainfall, low utilization of agricultural inputs, poor cultural practice, low access to improve and high yielding onion varieties, planting material, inadequate agronomic practice and poor water management. Lack of access to adequate and affordable rural credit including loans for inputs, investment in modern irrigation and improvements, tools and agricultural equipment are also production constraints. In general, this study found that vegetable production has contributed to significant amount of income to sample households and brought change in their life. Farmers participated in group discussion articulated that they were benefiting from adoption of improved onion production and improving their way of life. The single most important improvement mentioned was the ability to send children to school, followed by improvements in housing condition. To explore market potentials, the project conducted value chain assessments with staff of the KGVDP, students and regional research institutes. The results of the studies were used to develop market interventions. Many farmers sell onions straight from the field, preferably to the rural collectors (who purchase the product for loading from farm to storage house) and/or representatives of storage companies who save the onions for winter. The project linked producers with private and/or cooperative suppliers already made by the government or donor-funded programs. Provision of credit for all and arranging field day visit and tour program with certain period of time in production season will be very much important to farmers to adopt new technology. Strengthening and expansion of cooperatives is one means to enhance onion production in the area. Government should do a better job of it. The local government extension and research system has to give a due attention to local seed growers in providing technical back up and in certifying the seed they produce to keep the quality of seed. Much emphasis has to be given to improvement of marketing system particularly through cooperative unions. These cooperative unions should have to create reliable market price by communicate with other cooperatives found outside their localities. Producers and extension agents need adequate skills in production management practices starting from seed selection to post harvest technology suitable at their level. Marketing principles, bargaining skills, business planning, quality management and post-harvest handling of horticultural products are some of the interventions needed in study area. Low and fluctuating prices of vegetables can be addressed through greater market transparency (information, collective action, linkages) production planning, post harvesting handling. Public sector investment in irrigation infrastructure and natural resource development is an essential component for expansion of irrigated onion production. Private investment in pumps is an economically viable intervention to stimulate expansion of irrigated onion production. Certification of seeds is required to expand market opportunities beyond the production areas. Private sector small scale entrepreneurs can provide the necessary inputs for vegetable production. FAO-crop diversification and marketing project, A Manual for Extension Agents and Seed Producers January 2010.